Welcome to the Club: the adidas Men’s and Women’s Club Tennis Clothing Collection! We all want to be part of the club. Especially the adidas Club! The NEW Men’s and Women’s adidas Club Tennis Collection is here and with brilliant colors like Energy Aqua, Dark Burgundy, Bright Yellow, and Mystery Ink you are sure to love what they’ve been cooking up in Herzogenaurach! (Fun Fact: that’s where the adidas headquarter is.) As always, adidas brings you pieces that are easy to mix and match, so I’m going to walk you through my favorite women’s look, my favorite men’s look, and highlight some of the shared pieces between the two! Equality, baby!! I cannot get over how bright and fun this Energy Aqua fabric is, so first up is a stellar combination of the Women’s Club Tennis Tank and Women’s Club Tennis Skirt, both in my new favorite color. Bright Yellow trim on the modernized, relaxed tank makes that slim racerback pop! The skirt includes built-in tights for an easy, ready-to-wear look. Both pieces use climalite technology to pull sweat away from the skin to the outer fabric face to better naturally regulate your body temperature. This year the men are keeping it a little subdued with the Men’s Club Tennis Tee and Men’s Club Tennis Short in Mystery Ink and White. The relaxed fit tee and regular fit shorts work together to create a professional looking outfit designed for the court. This tee features a White color block insert at the lower back to create a dynamic look. The shorts include two side pockets for tennis ball storage and a drawstring waist. Both pieces use climacool technology to conduct heat and sweat away from the body, allowing air to circulate close to the skin. Warm up gear looks similar this season with the ultra stylish Women’s Club Midlayer Tennis Top and slightly relaxed Men’s Club Half-Zip Midlayer Tennis Top. Both in Dark Burgundy, these long sleeve tops feature stand-up collars, ribbed cuffs, and a half zipper so you can control your own level of warmth as needed. 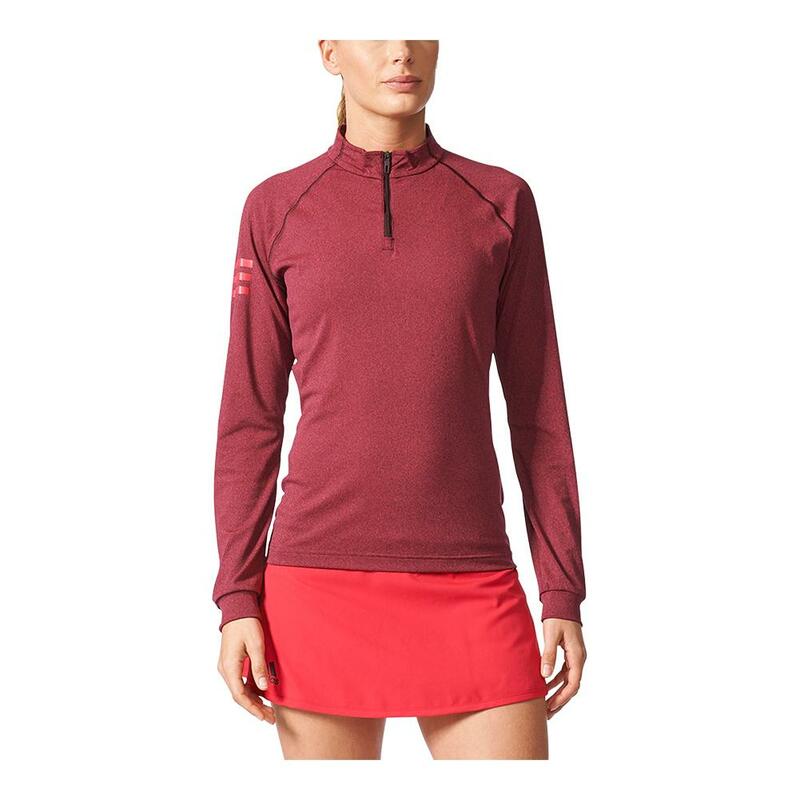 These tops are incomparable for cool weather looks and use climate technology to keep you dry on the court. Call up your mixed doubles partner and order these today! 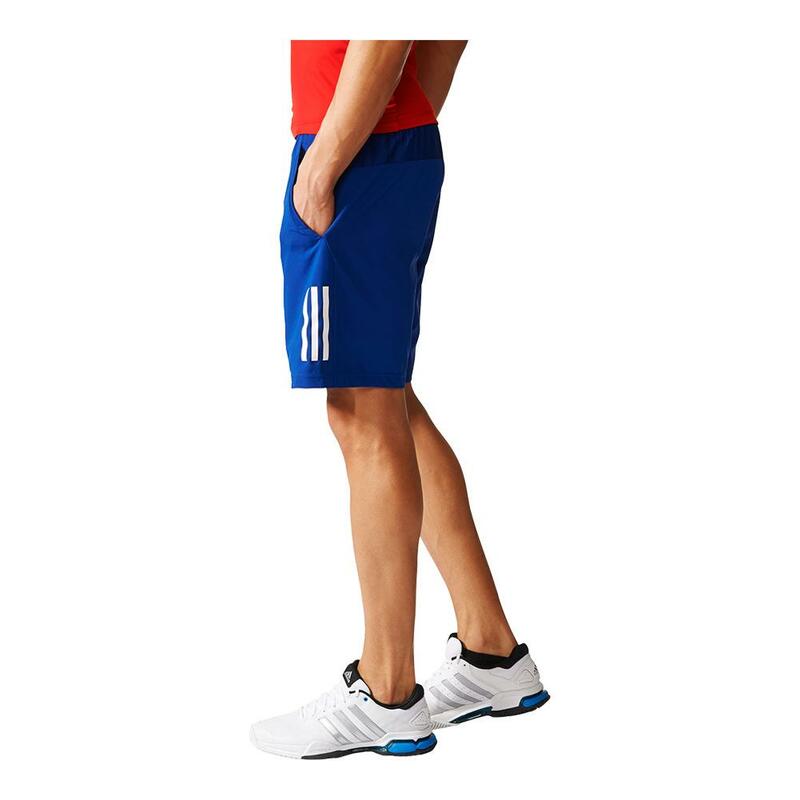 Join the adidas Club today by shopping the Men’s and Women’s collections at TennisExpress.com! What are you waiting for? An invitation? THIS IS IT!! !